"A beautiful book." --Arundhati Roy"Among the slew of recent Ali books, here's one that returns the political sting to 'The Greatest' ... As Marqusee portrays him, Ali is still the righteous outlaw, as badass as ever and still in the eye of a global storm." --"Time Out New York""Fascinating, well-written, entertaining and significant. 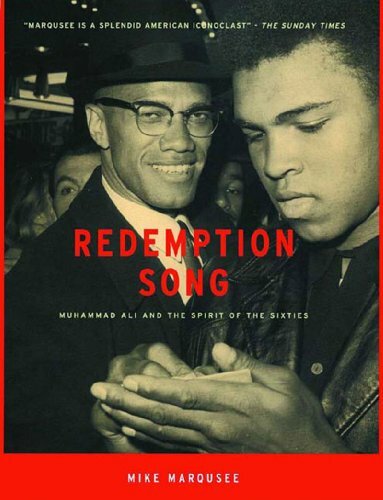 "Redemption Song" provides rare and important insights into Muhammad Ali and his immense global impact on a turbulent and ground-breaking era." --Leon Gast"As Marqusee charts how Ali helped create a global consciousness, he succeeds in knocking Ali off the respectable pedestal on which American culture had placed him, resurrecting him as the radical figure he truly was ... a vibrant historical essay." --"Publishers Weekly""A thrilling book about a true and enduring hero ... Mike Marqusee has done him, and us, proud." --John Pilger"Excellent ... Reminds us just how explosive and divisive a figure Ali was." --"Independent on Sunday"
This narrative explores the origins and impact of Muhammed Ali's dramatic public stands on race and the draft. It traces his interaction with the evolving black liberation and anti-war movements and encounters with leading figures. This book offers a historical essay that re-examines Muhammed Ali's role as a symbol of dessent and uses the man as a portal to an understanding of an era. The author explains how Ali's penchant for turning events upside down often made him a symbol of heroism abroad and of disrespect for the status quo at home.